We entered the channel with Synnex in March 2016. Shortly after, we inked a consulting arrangement with Gartner Corporation, the largest IT consulting group in the world. Included in that agreement was a pass to Gartner’s Risk and Security Conference in National Harbor, Maryland. Thousands upon thousands of IT security professionals from all over the globe came to participate, collaborate, network and learn. With less than three months in the channel, I jumped into the deep water of security for the largest companies and government agencies. I arrived extra early to get a front and center seat for the keynote address. On my left was the CIO for Home Depot, and on my right was a manager for the nation’s cyber defense. I was in some heady company. The lights dimmed and a powerful, professionally produced, video simultaneously filled the three 20 foot screens. After the video, the lights slowly came up, and on the stage were Gartner’s top four security analysts. They engaged in lively rapport, but then I realized something disturbing. Quickly, I grabbed my notepad and jotted the key sound bites as fast as I could. Here is what I wrote verbatim. “There is no such thing as 100% security”, “Protect and respond to the inevitable”, “Assume you will fail. Attackers will get in.”, “Prevention is futile”, “Cannot eliminate risk. Must manage.”, “Signature based solutions are useless, but keep using them.”, and “Don’t give up on endpoint protection yet”. Gartner next laid out their Endpoint Detect and Response (EDR) model. A new generation of security aptly named nextgen antivirus would replace traditional and legacy products. The nextgen products provide tools and visibility to a newly trained modern IT workforce to detect and respond to the latest threats. Fast forward eighteen months, and Gartner’s vision has indeed become our security reality. A wave of new VC-backed security products have a growing foothold into corporate America and the federal government. The role of IT professionals has been transformed from proactive to reactive, that is to rapidly extinguish ransomware fires. Nextgen is expensive. Only the largest, most profitable (or most in debt) organizations should consider these solutions. Nextgen excludes consumer, small and medium business, schools, law enforcement, non-profits and any other entity that must balance an annual budget. The EDR model puts enormous and unreasonable pressure on IT to effectively detect and mitigate every ransomware attack. EDR introduces human error in an area where the consequences of ransomware require zero tolerance. The price of bitcoin rose from $1,500 in January 2017, to over $15,000 in January 2018. We are not heretics nor iconoclasts, but our message could not be more different. We stand alone and believe in prevention. Last year, just one of our customers suffered one infection. Prevention is a reality for our PC Matic customers. We are evolving our TV commercials to reflect this new positioning. We will continue to explore new ways to have our message heard. Prevention is more than possible. Prevention is smart. Prevention is practical. If you see our prevention message on the airways, or in print, a billboard or anywhere else, I ask one thing. Listen. Hear our message. 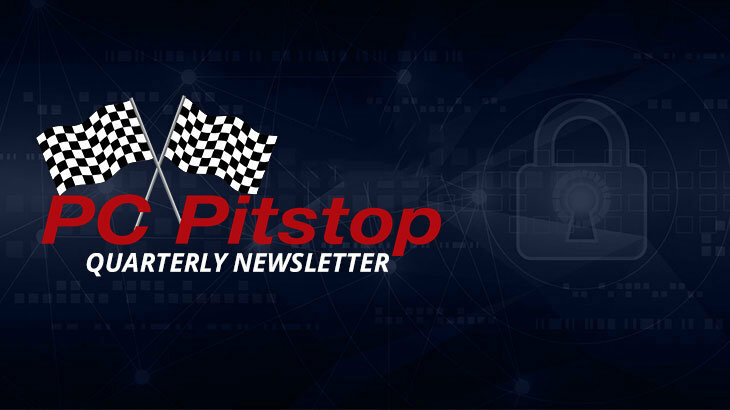 Q4 2017 Newsletter ceo, PC Pitstop, rob cheng. permalink. Email us at pcmatic@pcpitstop.com with your size and we will send you something!